So, what is Propane? Propane is derived from two large energy industries: natural gas processing and crude oil refining. But, it’s more than just a fuel. It is nontoxic, colorless, and virtually odorless. Thus, it is safe for your household, commercial businesses and farms. Propane is an approved, clean fuel listed in the 1990 Clean Air Act and the Energy Policy Act of 1992 and is one of the cleanest burning of all fossil fuels. People use propane in and around their homes for furnaces, water heaters, air conditioners, outdoor grills, fireplaces, and appliances. So for your residential, commercial and agriculture propane needs in Sparta, Michigan, Dependable LP Gas Co. delivers you a competitive rate and prompt service. Dependable LP Gas Co. always believes that it is important to have a balance in our environment. We support a clean energy solution that’s why we are shouting “Go Green!” loudly and clearly. Not just that, when you encounter some problems in the wee hours, we have a 24/7 emergency support system for dispatch anywhere you are in Sparta, Michigan. Call us, and we will be there! 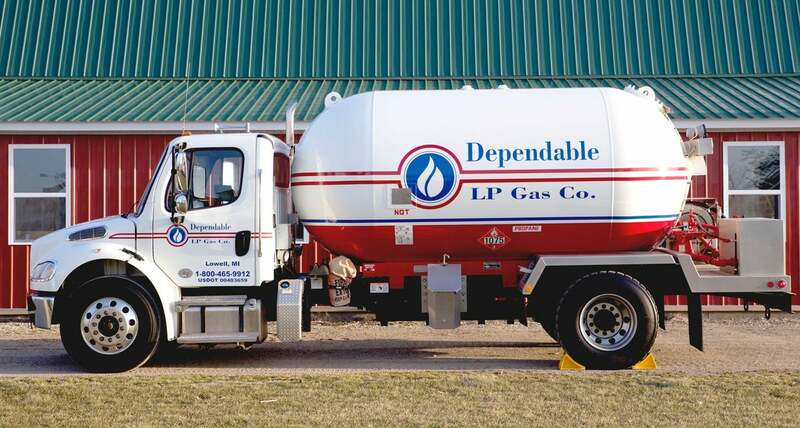 If you have any questions about our premium propane services in Sparta, Michigan, do not hesitate to call us at: 616-897-4225 and 1-800-465-9912 or e-mail us at chris@dependablelpgas.com. We look forward in serving you! Delivery comes right to your home, no muss, no fuss for you, our valued customer. Your choices drive our timely services. Whether your need is to power up a forklift, heat a business establishment, or perhaps provide a temporary heat source for your construction site, Dependable LP Gas Co. is your best answer. Guarantees a certain price per gallon on your season’s fuel. You pay for fuel now and we deliver as needed on a Keep Fill basis between sign-up and April 30th. Guarantees a certain price per gallon, on a Keep Fill basis between sign up and April 30th.